For most price ranges in the Tallahassee real estate market, there are far more buyers than sellers. A classic sellers' market. Despite the odds being in their favor though, a relatively large percentage of homes are failing to sell. It's hard to comprehend. Imagine deciding to move, having your Realtor tell you that it's a sellers' market, then nothing happens. Even as you find the perfect home to buy for your next move, you're stuck with a home that will not sell. Take a look at the following listings for sale in Tallahassee, followed by close scrutiny of the homes that are selling (and those that are failing to sell) in Tallahassee. The following graph shows the percentage of sellers who succeeded (green line) versus those that have failed (red line) over the past four years, arguably the best sellers' market Tallahassee has ever experienced. During the toughest years of the housing market recovery, during the extensive buyers' market, we saw the failure rate for home sellers exceed 50%! Imagine, half of all the homes listed for sale failed to sell. But times have improved greatly. Inventory levels recovered and have since declined to scarcity levels in many price ranges. Yet failures litter the board! Right now, one in every five home sellers who list their homes for sale with a real estate agent will go the full term of the listing and yet will not sell. 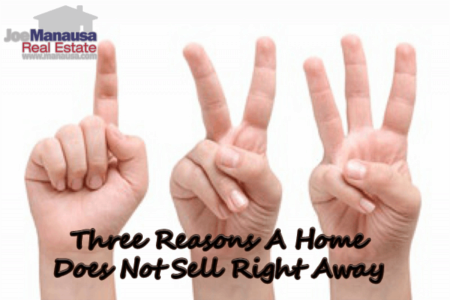 While you might believe there are many reasons that a home fails to sell, there really are only two, and it's typically a combination of the two that ultimately stops a home from selling. PROMOTION: First and foremost is a sound digital marketing plan. Homes won't sell if the right people don't know they are for sale. 95% of the buyers are on the internet and you need a real estate broker who spends the money online to put you in front of the majority of buyers who might favor your home. Don't think a few free postings on Facebook is a digital marketing plan, you need the top Realtor that Google can find in your area. Getting the word out does not take long, but it is costly if you want to generate enough buyers so that you receive multiple offers (a critical step in getting top dollar for your home is to have more than one buyer bidding on it). There are thousands of websites that your home could be featured on, but paid positions with the big names often separate the haves from the have nots. 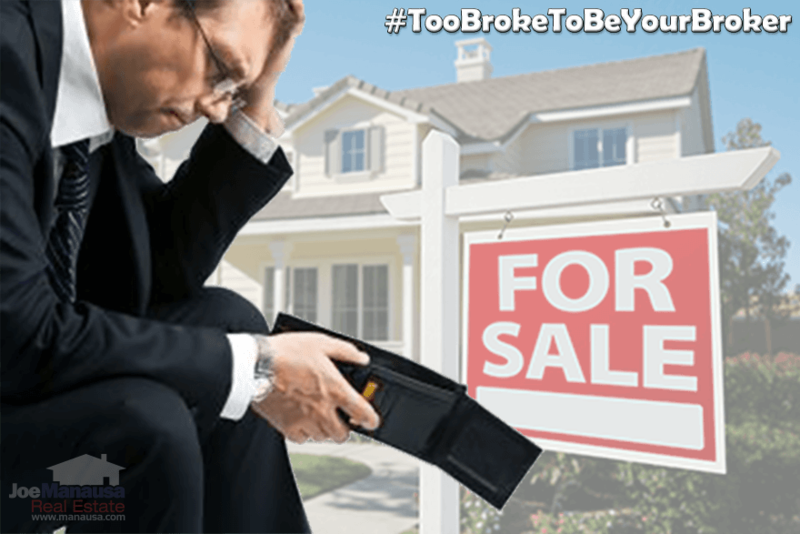 PRICE: If everybody knows your home is for sale and yet nobody wants it, then your asking price is being rejected by the market and you either need to wait until values rise or lower your asking price to be in line with current market conditions. In the old days, prior to the internet, buyers shopped by area. They would drive around and often inquire on home listings that they found in their favorite neighborhoods. An over-priced home still received attention and then the buyers might inquire to determine if the seller would come down in price. It was not uncommon to see homes sell for 85% to 90% of their asking prices. But times change. Digital marketing allows to shop for homes online, and if your home is overpriced, it's being compared side by side with nicer homes. That means most buyers will not want to come see it, as they'll reject the price online before even getting a chance to see it in person. Overpriced homes rarely sell, and they occasionally receive low-ball offers from unmotivated buyers that rarely result in a sale. Unsurprisingly, the average sales price to listing price ratio is above 97%. Only the properly priced homes sell in this digital world. And before you start thinking that there are other reasons a home does not sell, ask yourself if a lower price would resolve the problem. If buyers are saying the yard is too small, they are really saying "at this price, the yard is too small." If they say they want an updated kitchen, they are really saying "at this price, I demand an updated kitchen." 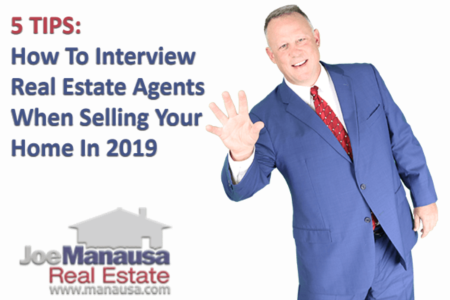 If you want to sell your home for the highest possible price, you have to interview enough agents to find one you can trust. DO NOT HIRE an agent that tries to close you on your home's value, rather make all agents show you their digital marketing plan and then hire the best one. You can find out a lot about agents by reading their customer reviews on Google. If you hire the agent that spends the money required to fully market a property, it is likely you'll end up very happy and your home will fetch top dollar. If you have questions about how to interview or who to hire in your market area, simply give us a call at (850) 366-8917 or drop us a note and we'll help you get the help you need. If you are planning on selling a home in Tallahassee, we would love the chance to earn your business. Here's what people are saying about working with Joe Manausa Real Estate, you can see thousands of real customer reviews reported on Google, Facebook and Zillow right here: http://www.manausa.com/testimonials.